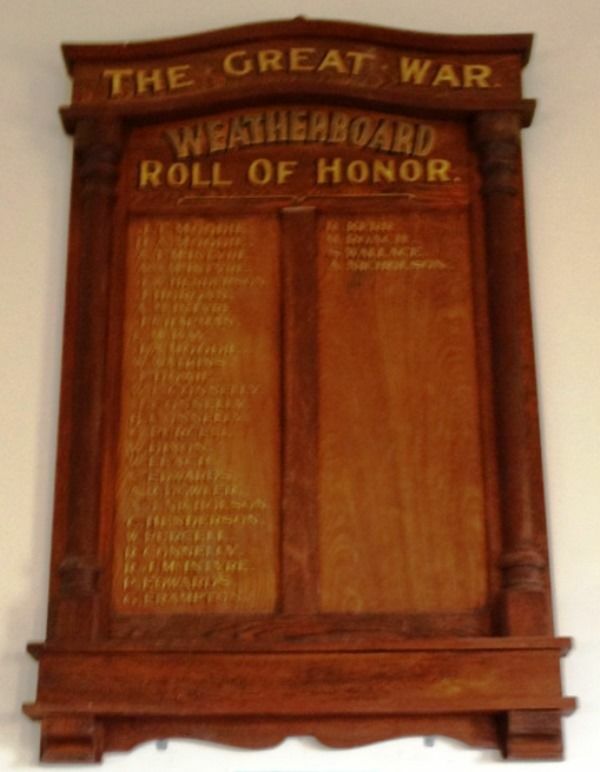 WEATHERBOARD'S VOLUNTEERS HONOR BOARD UNVEILED. Blackwood, Monday. The honor board which was unveiled by the Premier at the local school on Saturday afternoon was prepared by Tunbridge and Son. It is handsomely designed in oak, with ash panels, and bears the names of 31 district volunteers. Ballarat Courier (Vic. ), 31 July 1917.